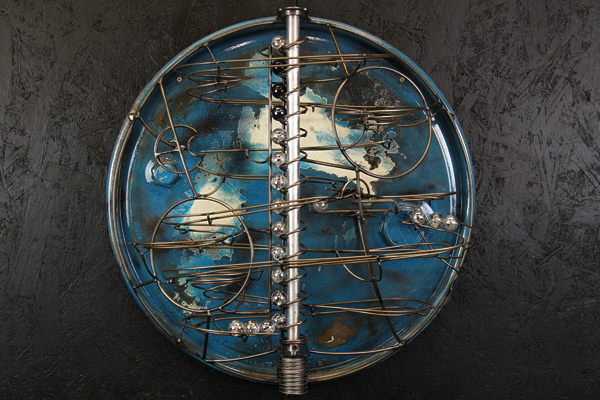 This two track wall mounted sculpture uses the barrel lids that I have recently started to use as a background for my sculptures. It measures 600mm across and approximately 200mm deep and uses 25mm glass marbles. The main part of the sculpture is powder coated in a clear coat and the background is painted blue. the sculpture incorporates a helical lift and has flat spirals and my designed "pacman" tipping arm.